The Apple will launched new iPad 3 on March 7, mean for Malaysia, 8 March 2012. 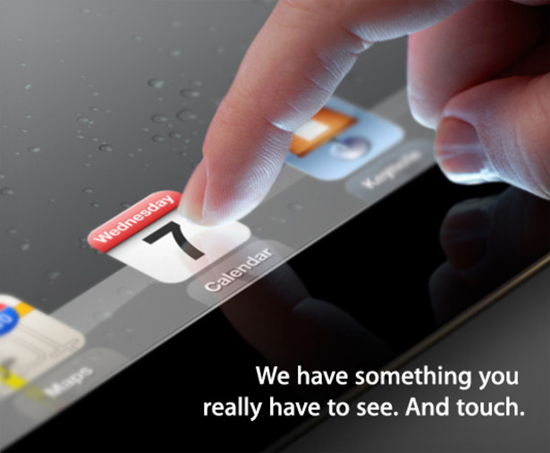 We will get know what are about iPad 3. Maybe the new iPad will have a bigger of resolution screen and faster processor. I am sure that the Siri installed into the new iPad. The cost of price will be more than the normal price of iPad 2 because it have more new features... maybe it don't have "home button"? I am not sure. If the rumour are true, many people sure will take a peek on iPad 3! Let us forward to look new iPad on next week!